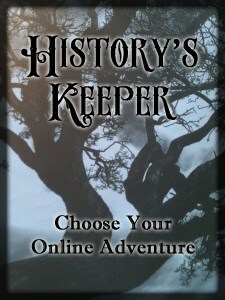 Author’s Comments: This is an online version of the old “Choose Your Adventure” books. I contributed several scenes – what would amount to a good sized short story. Written collaboratively by a team of international emerging writers, the story line doubles back and weaves from one story to the next, creating a rich experience for the reader. Description: In a moment of weakness, Selene (an eternal being charged with managing the course of events through time) once used the fundamental forces of the universe for her own illicit and lustful purposes. Thus changing the natural flow of history and resulting in thousands of horrific deaths. 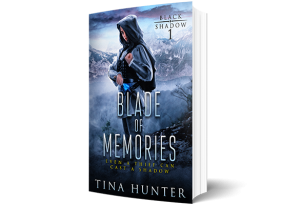 Now, the crime that she thought she had buried away forever has been unearthed to be used against her by someone she once loved. Left unchecked, the terrible power she strove to hide within history’s pages will threaten not merely her own destruction, but that of the entire world. In the power struggle among the community of sisters who once united our time continuum, whose story will you side with? Who is telling the truth? NO LONGER IN PRINT: READ IT HERE! 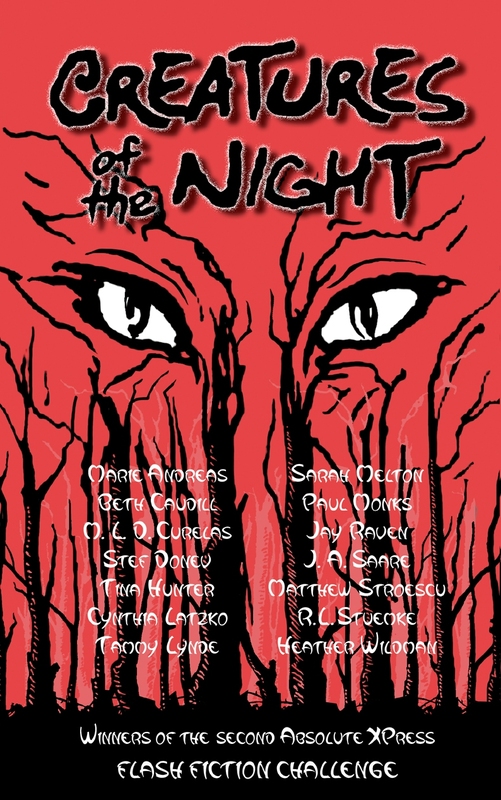 Author’s Comments: This is a mated anthology, or two anthologies of interwoven stories. 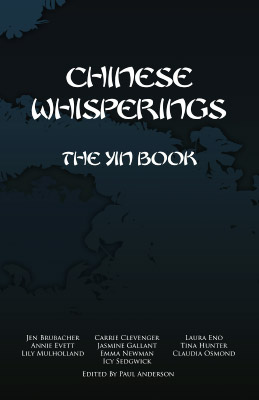 My short story “Where The Heart Is” appears in The Yin Book, written by all female writers. The pair is The Yang Book, written by all males. Description: In the international terminal of a large European airport, Monday morning is about to get a whole lot worse. At 7.35am Pangaean Airlines, one of Europe’s major carriers, is put into receivership grounding all flights, stranding thousands of passengers and impounding tonnes of luggage. But all is not as appears on the surface and the sliding-doors moment of one woman deciding to abandon her suitcase will ricochet through the lives around her. Author’s Comments: My short story “Innocence” appears in this anthology, the first of the Chinese Whisperings series. Description: Chinese Whisperings is a conceptual anthology with a collection of interwoven short stories by writers from across the English-speaking world. Unlike other anthologies, Chinese Whisperings was created in a sequential fashion. Miranda is reaping what she has sown… Mitchell understands there is no resisting fate… Clint dreams of forging a violent destiny… Elizabeth is about to make a discovery… Robin hides a terrible secret… Simon hasn’t slept in ten days… Sam is pursued by nightmares… Susie has lost everything… David has just been found… Jake is atoning for past evils. …Ten ordinary people struggling to keep their sanity in an insane world. 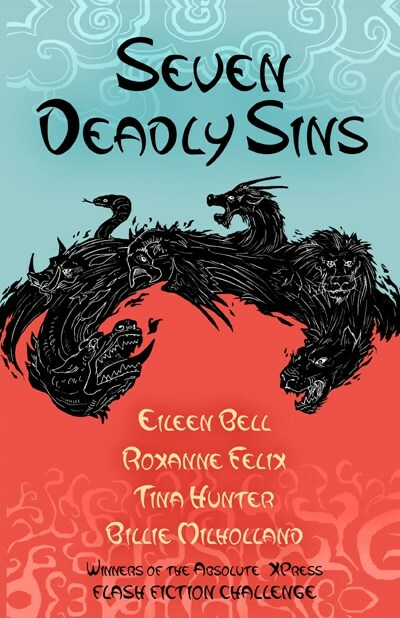 Author’s Comments: My short stories “Demon Disease” and “Mistakes Bite” appear in this anthology. Description: In June 2009, writers everywhere were issued a challenge—write an epic flash fiction story in under 1000 words. Author’s Comments: Two of my short stories appear in the first Absolute-XPress Flash Fiction Challenge anthology; “Truth Will Out “- Wining Entry for Envy, and “Three Little Pigs” – Tied Winning Entry for Gluttony. With a rush of adrenaline, a flurry of words were forced onto our computer screens – some in a less than gentle fashion. Soon our creativity was polishing the sentences and we hoped the paragraphs told each story in a manner unique to its author. Some stories reveal the entrapment in a single scene, others expose the characters fall from grace over a longer period of time. Watch the Interview for CityTV’s “Your City” news about the anthology on YouTube.